Ogunquit is a busy tourist beach town. Famous for its three miles of platinum white sand beaches, Ogunquit is a Native American word meaning “beautiful place by the sea”. Ogunquit is a summer resort south of Portland on the coast of Maine. Lots of shops, restaurants, and services are around. 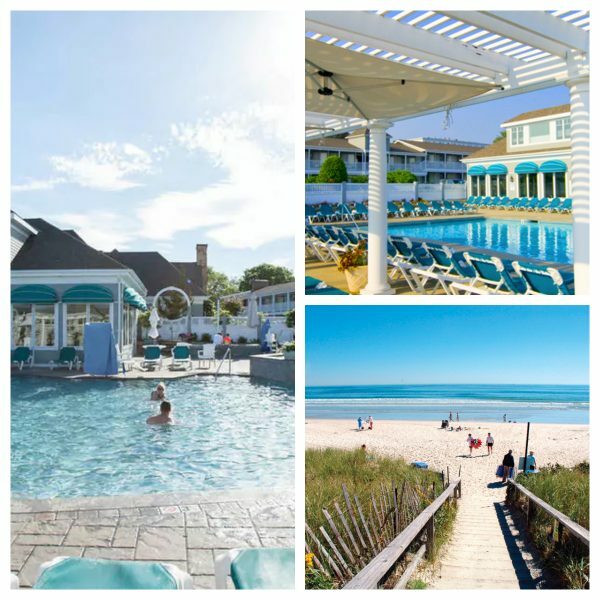 Ogunquit’s most renowned, year-round oceanfront resort is The Anchorage By the Sea. The sea’s spectacular beauty is the focal point from most anywhere on the grounds. Located in the heart of Ogunquit, everything you could want in a complete vacation resort is right outside your door. Beautifully decorated rooms opening onto unforgettable views of the ocean are only the beginning. Open year-round, all rooms are smoke-free, offer free WIFI and have a small refrigerator, hairdryers, iron & board, and personal safe. Other Anchorage amenities include hot tubs, indoor and outdoor pools, saunas and poolside bar and grill.